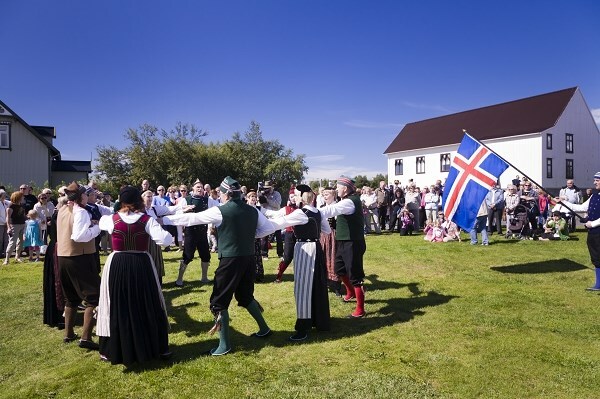 Visitors to Siglufjordur in North Iceland can participate in a brilliantly Scandinavian experience at the Folk Music Festival, running from 1st to 5th July. For five days the beautiful town is home to three concerts every evening, as well as day courses on folk music and handicraft. Learn traditional Icelandic dances and meet artists from across the world at Madame House, former home to Iceland's most remembered collector of folk music, Rev. Bjarni Thorsteinsson. Thorsteinsson started collecting music in 1880 and his passion for folk is still alive in the festival. If you missed St Patrick's Day, you'll love this festival of the Irish on the west coast of Iceland! The main settlements on theAkranes peninsula were founded by Norwegian born and Irish raised brothers Thormodur and Ketill Bresason shortly after 880 AD. The first weekend of July marks the Irish Days with art exhibitions, music, and barbeques all round. Find out who the most red-headed Icelander is and join the Lopapeysan party on Saturday night to indulge in the Irish Icelandic spirit! 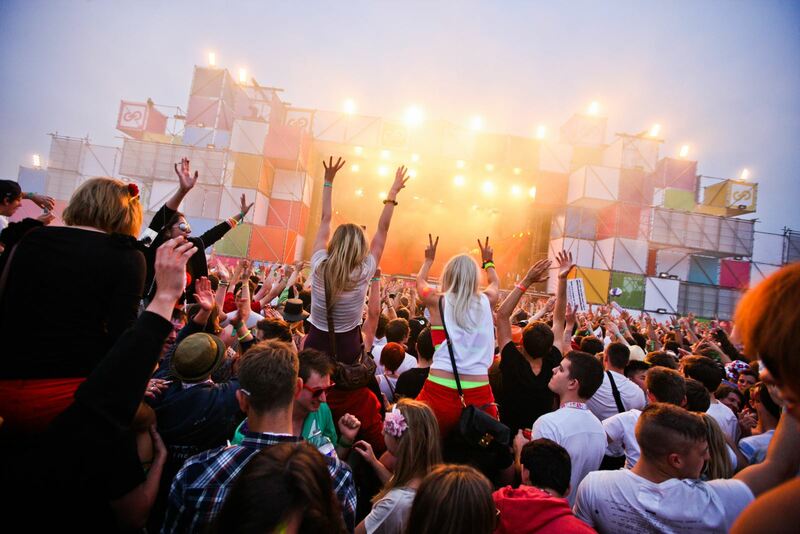 Fancy a boutique festival experience with high quality gigs and exclusive entry? Look no further than the third annual All Tomorrow's Parties festival in Iceland, taking place across the 2nd, 3rd and 4th July. Head on down to the former Nato base Asbru in Keflavik for music from 7pm to 2am every night. There are 30 acts set to play live, and visitors can also attend DJ sets and a cinema with films specially picked by the acts of ATP. 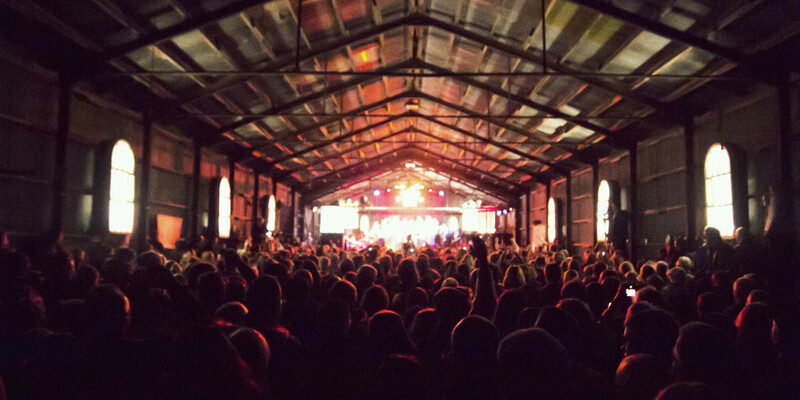 The venue has a capacity of 5000 peoplemeaning it's one of Iceland's most intimate festivals! In its 11th year, the Eistnaflug Festival has relocated to the Neskaupstadur Hall, meaning even more rockers can attend this year! Still located on the eastern coast, more specifically the Nordfjordur fjord, the town is remotely located for a day or two away from the bustle of Reykjavik and into the bustle of a friendly party crowd. See local and international acts perform arange of genres, from indie to black metal with no boundaries. Some notable acts have performed here, so you couldcatch the next big thing! The LungA festival has been running since 2000 to bring artists together, and you can join their ranks this July! Workshops and lectures are running for a week (12-19th), ending in a supreme celebration of art at the weekend in the form of exhibitions and concerts. Found in Seydisfjordur, LungA has gained a strong reputation for bringing together some amazing collaborations. Celebrate with like minded artists for a brilliant creative experience! If you'd like all of the camping of Glastonbury without the cramped conditions, Braedslan will be your perfect destination for an Icelandic weekend away! This music festival only releases 800 tickets every year, transforming the small village ofBorgarfjordur into a place as culturally rich as it is beautiful. The venue is an old fish factory and the village is surrounded by mountains, with incredibly friendly locals who will make you feel right at home. All that, and live music every day- sounds fab! On the same dates as Braedslan and in a similar area, the 24th-26th July is also a weekend for classical music fans withReykholtshatid festival. The critically acclaimed gathering was founded by pianist Steinunn Birna Ragnarsdottir, and its current artistic director is cellist Sigurgeir Agnarsson. Since its first festival in 1997 it has become a leading music event in Iceland, with a focus on 18th and 19th century works. The repetoire will be showcased across 4 concerts, and leading male choir Karlakorinn Heimir are set to perform. There's still plenty of time left to make the most of Iceland's 24 hour sunlight and go running this July. We have plenty of running options this month, from the cross-country Thorvaladsdalsdalur Trail to the Half-Ironman Triathlon for those after a little bit more on their sports holiday. Add to these the Laugavegur Ultra Marathon and July is the prime time totraverse Iceland's beautiful landscape, with tons of choice dependent on your skill range (and willpower!). 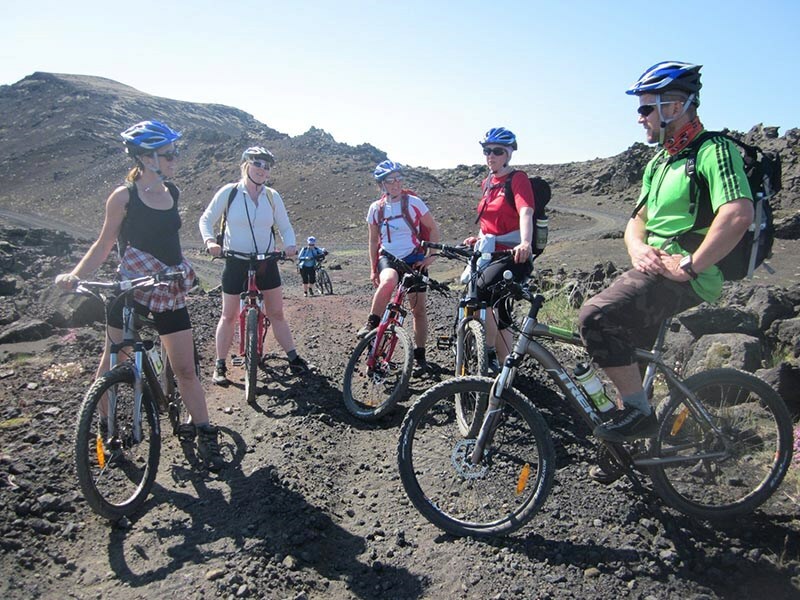 Another chance to enter your sporting element in Iceland, the Golden Circle cycling challenge takes place on the 11th July. Cycling through one of Iceland's most popular tourist areas, you'll pass geographical wonders and natural beauty at every turn. There are 3 routes to suit cyclist's abilities, including the beginners' route the Silver cycle. The challenge's motto is"Everybody can ride, everybody wins and everybody is welcome!" and this friendly environment really reflects it. If there's one thing everybody can universally agree on, it's that baby animals are cute. Puffins may be to Iceland as pigeons are to the UK- that they're everywhere- but their pufflings will be learning to fly in late summer, and taking a tour out to see these animals is well worth your time. They're full of character and their antics make for a brilliant photo opportunity. If you're traveling to Iceland with us this July and would like any more info on these events and how to get to them, contact us on 01904 406534 and we can help make your holiday the ultimate summer getaway!